Let me start by telling you a story. In 1998, a year before the NATO bombing of Serbia and Montenegro, in the darkest days of Miloševic’s rule, my father placed a small EU flag on his balcony in the new part of Belgrade. For him the golden stars on the EU banner were a light at the end of the tunnel and remedy against all madness Yugoslavia has descended to at the beginning of the 1990s. It was also a symbol of protest against Miloševic’s autocracy. While decorating the façade of a high-rise Socialist building with the flag of Europe he then told me he hoped to see his continent, torn apart by authoritarian ideologies of the twentieth century, free and fully united in the next decade. Today, almost 15 years after the 2003 Thessaloniki promise of EU membership, and almost 20 years after that conversation with my father, Western Balkans countries are still waiting in line to join the European Union. 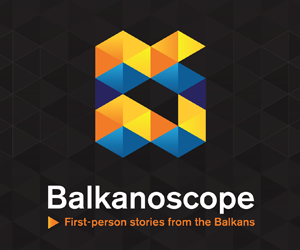 In 2015, for a brief moment, the refugee crisis has put the Western Balkans back on the political map of Europe, highlighting the strategic importance of the region for Europe’s security and stability. Many of us working on the EU integration of the Western Balkans have hoped that this will wake the EU up from its winter sleep, renew the political commitment to the EU membership of the region and thus accelerate the reforms. Sadly, this did not happen. Instead the focus of the EU in the WB has been to assure the effective closure of the WB migration route. Not just in the migration crisis, but more generally, the EU is ready to horse trade democracy to stability in the Western Balkans. There is a disconnection between the energy triggered and expectations created by the Berlin Process and the political commitment of current EU leadership to further enlargement to the WB. Listening to the main policy discourse coming from the EU, 2003 Thessaloniki promise of future EU membership to the region is fading into oblivion. The European Commission’s “White Paper on the Future of Europe” published a month ago (1st March 2017) does not mention EU enlargement a single time. EU leaders came together in this city just two weeks ago to mark the 60th anniversary of the signature of the Treaties of Rome . The Heads of State and government of the WB6 weren’t invited and they should have been. The Rome Declaration signed on this occasion talks about enlargement indirectly. It says “keeping the door open to those who want to join, “but then adds a Politicaly AND Semantically unnecessary,” join later”. These are not isolated examples but a consistent policy. This policy has two consequences: it reveals the EU’s membership carrot as rotten; and it simultaneously weakens the stick that could be used to discipline WB strongmen. Playing all the cards on the regional strongmen is a result of a catch 22-like calculus. 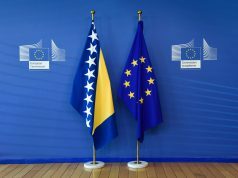 The EU wants the Western Balkans transformed and ready to join the club. All the EU has to do is push the strongmen of the region and they would, short of genuine geopolitical alternatives, deliver reforms of the rule of law and fulfill the Copenhagen criteria for EU membership. Yet, Brussels doesn’t have much to offer currently so it doesn’t press the local actors too hard because it doesn’t want to provoke instability that will in turn imperil their EU membership perspective. This is how we end up in a vicious circle, a perennial status quo of Pax Junckeriana, in the Western Balkans. Whereas such an approach may provide for short term firefighting it breads instability in the future – even more exposing the region to an unconstructive influence of other geopolitical actors. The EU has all the leverage in the world in the region but it shies away from using it. So, what can be done? We need a New Pact between the EU and the citizens of the WB countries (we already talk to the governments but this is clearly not enough). 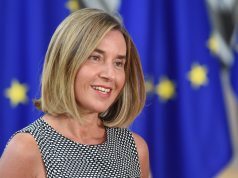 When we criticize the EU for not being more assertive regarding the backsliding in the region we often get the reply ‘we prefer working behind the scenes to megaphone diplomacy’. Believe me, it is not just the WB that needs more megaphone diplomacy from EU officials, EU needs it more to save its own credibility in the region. 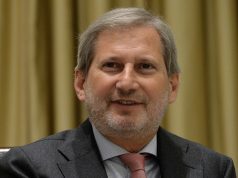 I would like to challenge the notion of the EU enlargement fatigue that is at the roots of the EU’s policy in the region and the stalemate in EU enlargement to the WB. Are we talking about the fatigue of the elites or about fatigue of the population in the EU? Policy makers think the population in the EU member states is against EU enlargement and adopt policies accordingly. These have an effect on the public opinion. It’s a classic tale wagging the dog scenario. Reality is that EU Enlargement and the WB is simply not part of the electoral campaign in the member states. And when it is to an extent, like we saw in the Presidential campaign in Austria, we constantly get surprised: far-right FPO preferring to court the WB-origin electorate to bashing EU enlargement (actually they were extremely careful not to appear as opposing EU membership of the WB). Opposition to Turkey is clear and overwhelming. Not the case with the Western Balkans. All this begs the question: would differentiation between the WB and Turkey in the EU Enlargement process politically reinvigorate the EU enlargement of the WB? One thing is certain: status quo is definitely not a solution.